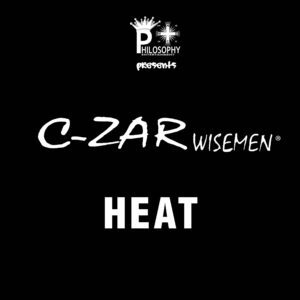 Revolutionary is by rap artist C-zar Wisemen and is the follow up to it’s precursor Poetic Philosophy under his former legal name of Derek Perkins. 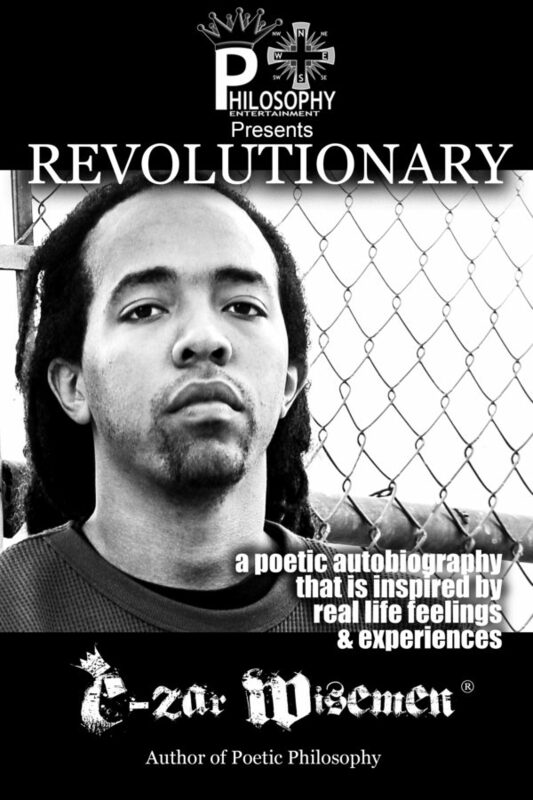 This poetry book is a poetic autobiography that is inspired by real life feelings & experiences. 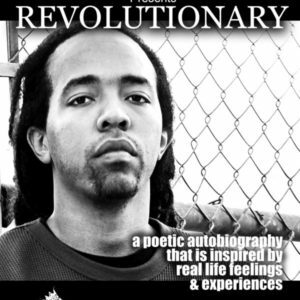 The sequel gets deeper into the author’s background with his emotional balance that leads to his many thoughts on who he was and still is added with his views on the world effecting black people. 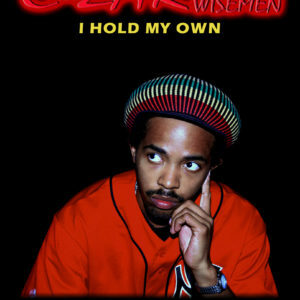 Subject matters that are tackled are his thoughts on the entertainment industry, religion, self-reliance, heartbreak and romance, storytelling and crooked politics are other issued addressed. 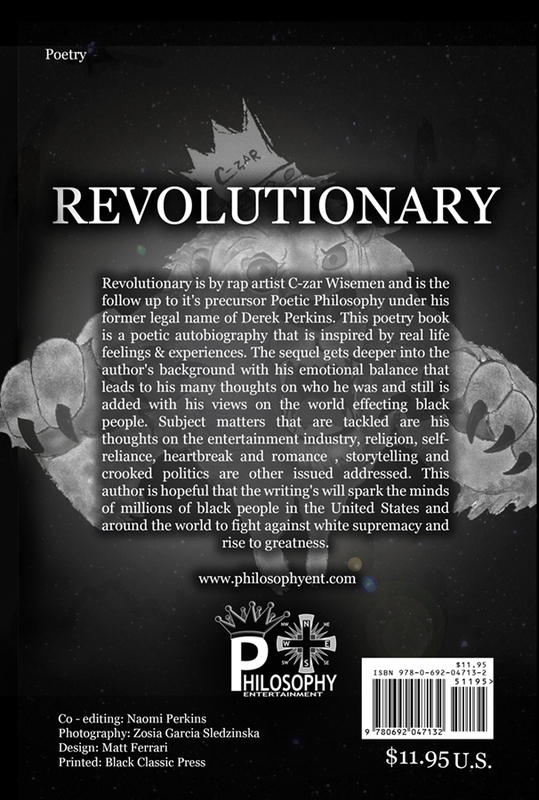 This author is hopeful that the writing’s will spark the minds of millions of black people in the United States and around the world to fight against white supremacy and rise to greatness.